I've been learning the guitar for about 9 months, so thought it was time to ramble about how that's going. 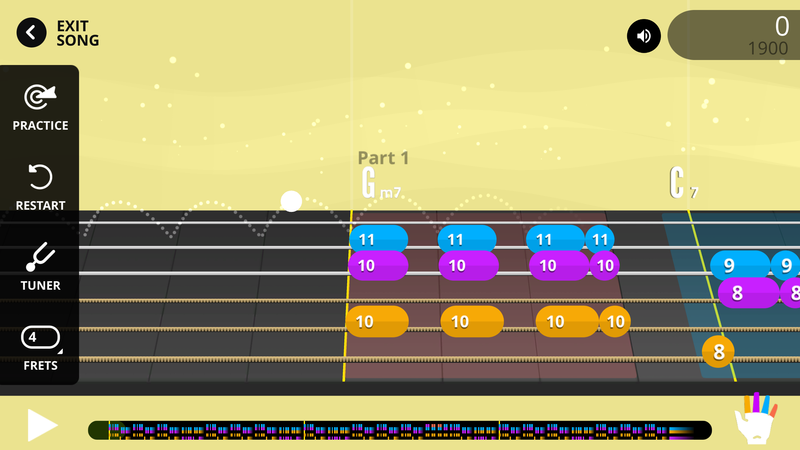 I started on a cheap acoustic from a charity shop, learning almost entirely from Yousician, and given that this is the first time I've put serious effort into a string instrument in this millennium, I'm pretty pleased with my progress: level 7 on the app, which is about halfway through their course. That means all the cowboy chords, hammer-ons & pull-offs, slides, fingerpicking, and I'm just starting to look at movable chords (and soon the dreaded barres). I now play a Yamaha SLG200S, ostensibly to be quieter for the neighbours (at which it mostly succeeds, though the "silent" name is a lie), but really because I'm a sucker for a fancy new toy and fell in love with it the moment I tried it. Essentially it's an electric, that with a turn of a dial will sound convincingly similar to an acoustic (at least to my ears), or anywhere in between. It's quite light, and will take a pair of headphones directly, which is really convenient... until I want to get the guitar sound into the app, and both that and the backing track into my ears, and don't want to have a flat battery in the middle of practise, at which point the cabling situation gets a bit less straightforward. 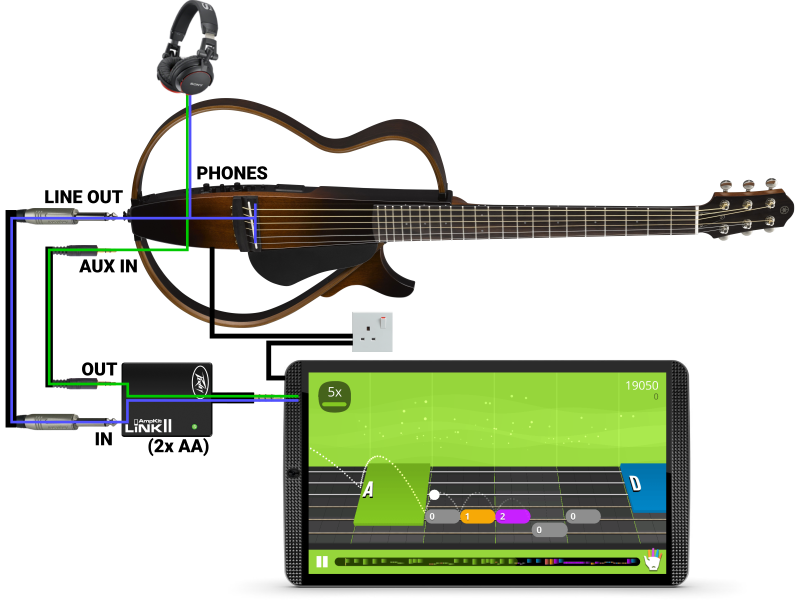 In particular, why do neither the adapter nor the Yousician app have a pass-through option to mix the guitar input into the output? 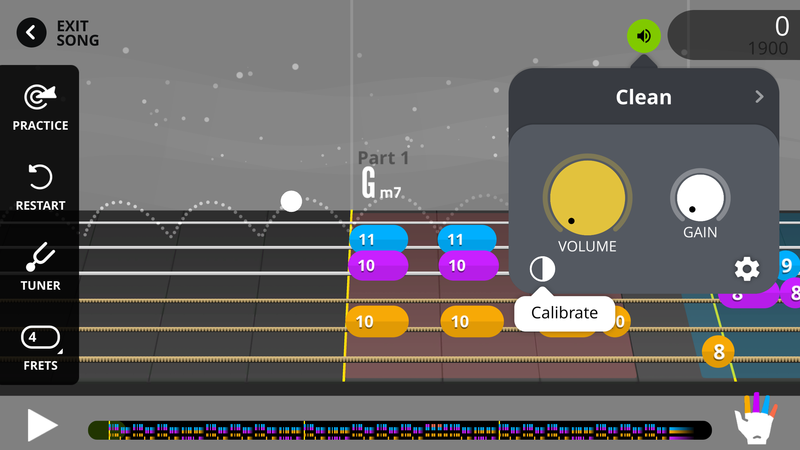 Edit: Yousician does have an attempt at an amp, but it's hard to find (that icon only appears when in a song, paused, and with a cable connected). And there are still some AA batteries I can't get rid of in that adapter. But hey, it works. :-) I should note that while Yousician does also run on Linux (at which point a typical sound card's line-in loopback will simplify things), it will not play most of the third-party songs with backing tracks that people have uploaded. I got a vague reply from support implying they don't want to distribute certain codecs which perhaps aren't freely available on Linux/Unity. Before I get much further I thought I should spend a bit more time with actual humans who play the guitar, so I'm about to start an evening class. I don't know any more about the course than that page says, but it's cheap, certainly compared to any other guitar tuition, and convenient, so I thought why not. The idea of playing in front of a room full of strangers is only slightly terrifying, and less so since I took the guitar out to a park with Emma-Ben at the weekend (I was, among other things, playing Playing In The Park in the park). But all in all, it feels like it's come together remarkably quickly: I can now do a not-too-awful rendition of a lot of songs I actually enjoy, across a range of styles, on an instrument that's at least somewhat portable and very well suited to casually making music with friends. Those aren't things that previous instruments have given me to this extent, and it doesn't feel like I've had to put in very much work to get there. I mean — and I say this with the greatest of love — you can get quite a long way just with three chords. So if you see a guitar in a charity shop for not much money, and wonder if it's worth carefully carrying it home and putting in a bit of time: yes. Very much yes.